Comment: I would like to have a heat pump technician visit my house and perform a routine service check to make sure the unit is functioning properly. There are no signs that there is a problem. Comment: 715 sqft residential condo. Comment: Oil furnance. Need to replace disconnected AC unit with heat pump. 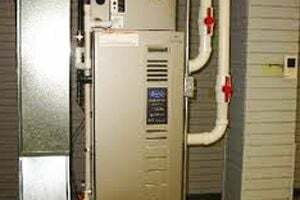 Comment: Looking to get a tankless boiler installed. Already have a tankless water heater so I donât need it to serve as both. Comment: Need a new PTAC or ETAC unit. Want a vendor that is an authorized dealer and service rep for the unit installed. Not GREE. Alexandria Heating & Furnace Contractors are rated 4.68 out of 5 based on 3,158 reviews of 55 pros. Not Looking for Heating & Furnace Systems Contractors in Alexandria, VA?